Knoxville's 93rd annual celebration to honor local veterans will feature local heroes and tributes to those who were lost. 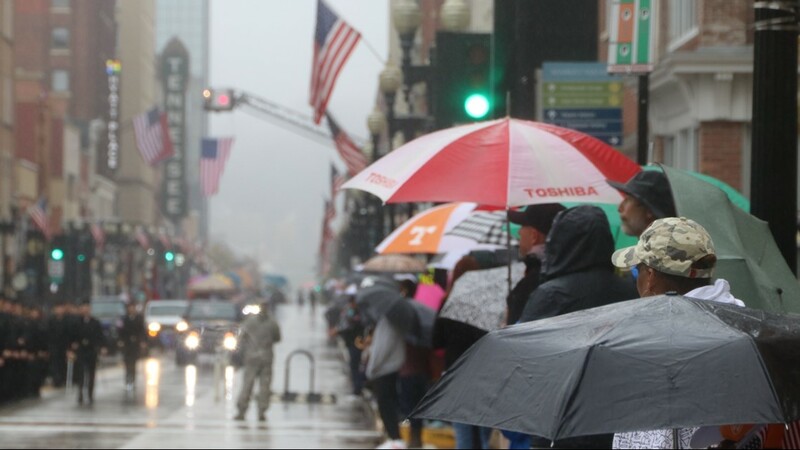 Close to 2,000 people were expected to gather downtown in tribute to local U.S. military veterans on Friday. Organizers said the parade participation was about 80% of what they expected. 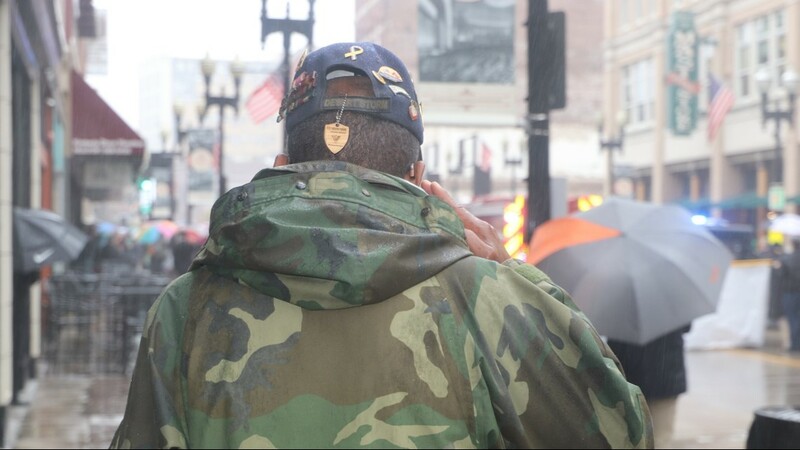 Veterans 10News spoke to were thankful for the turnout. 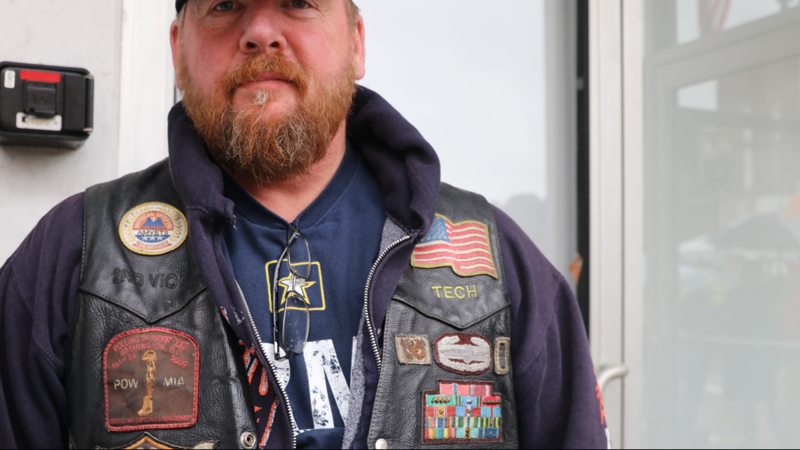 "It's outstanding you know...it's great to see all the people out here supporting our veterans," said Air Force Veteran Al Sautner. 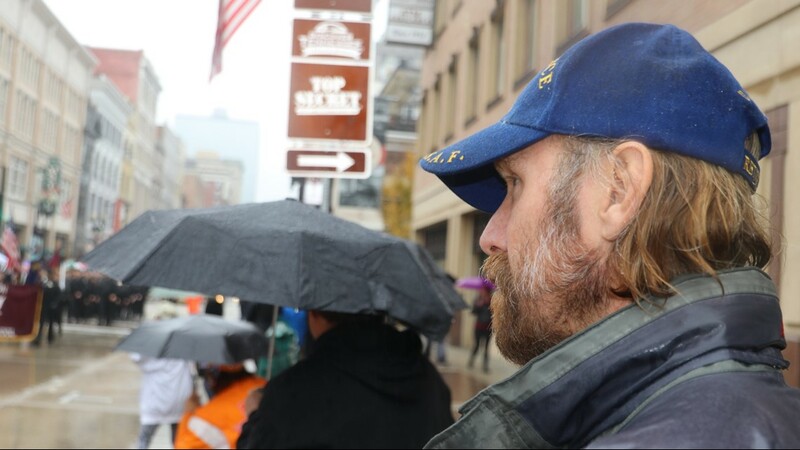 "It's a great feeling,"
Another veteran, Greg Broyles, said he hopes the parade served as a reminder to others about what veterans gave up for their freedom. "It's hard to put into words...it just means a lot on a day like this," he said. 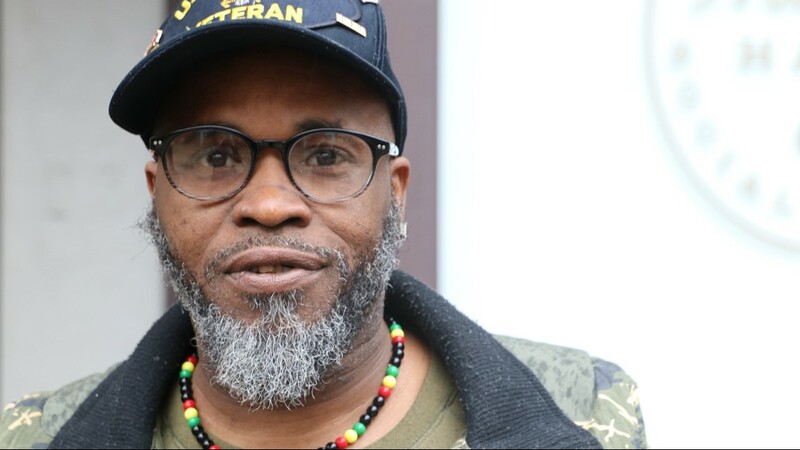 "You know, people just really need to walk up to the veterans and tell them thank you." Eugene Cooper fashions a makeshift cover for himself during the parade. "I had a big white hat but couldn't find it. So I had to adapt into something," he said. Cooper was one of hundreds who stood cheering along the parade route. "Every year it's a tradition. We come up here and see the parade. And then we go out and have a whole day together," Slater said. "It's always a good day when we get to enjoy a day together," Jeff Slater, right, said. 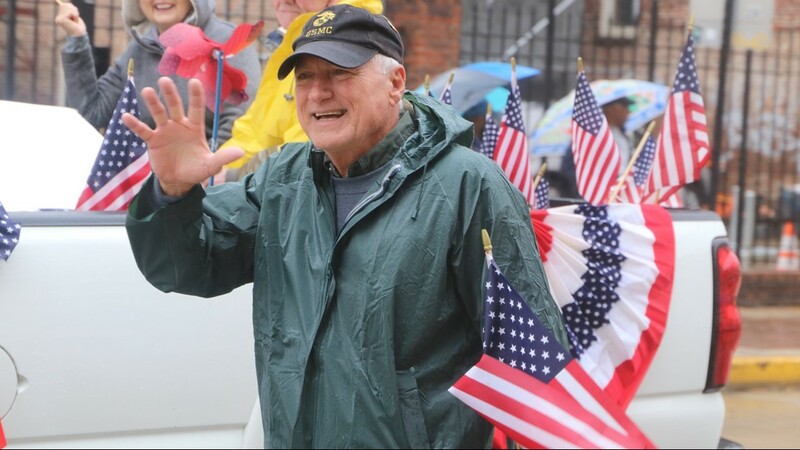 A United States Marine Corps veteran smiles and waves to the crowd along the parade route. Two men receive instructions from a superior on what to do throughout the duration of the parade. Parade members stand at attention during a dedication at the start of the parade. Children on one of the parade's floats glances back at the reviewing stand near Mast General Store. 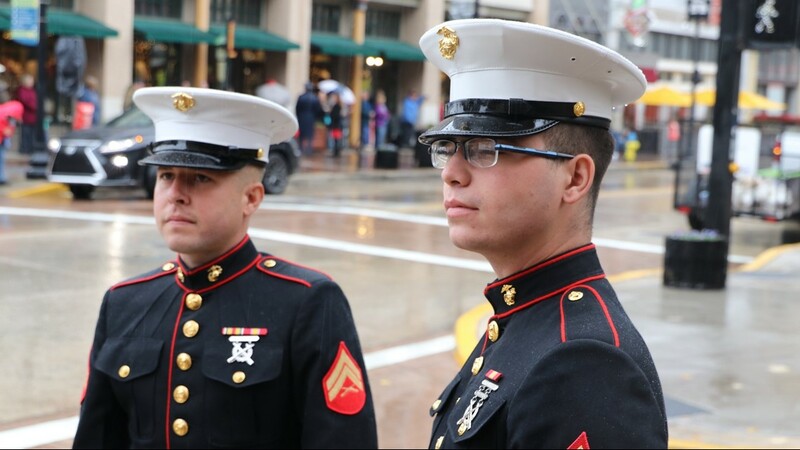 "These men and women fought in all kinds of weather conditions. And I told my husband this morning, rain show or shine we need to go," Josetta Hanson said. 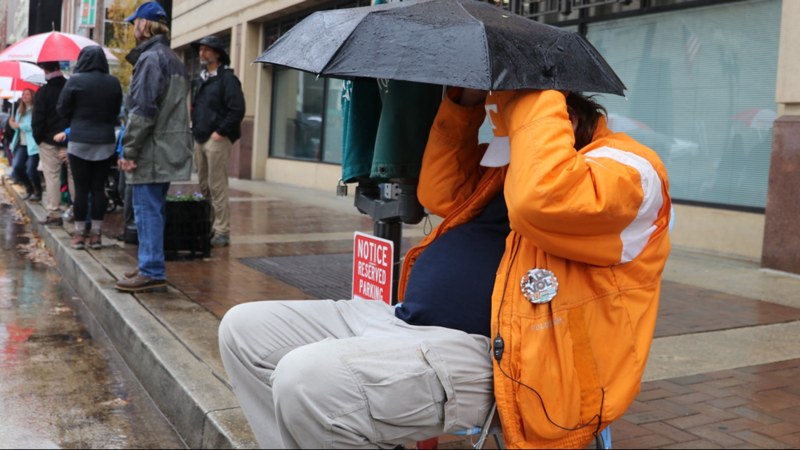 Many supporters showed up despite the rain. A Desert Storm veteran salutes the American flag during Taps. A member of VFW Post 5156 in Sweetwater, TN makes his way down Gay St.
A U.S. Navy veteran awaits the beginning of the parade. 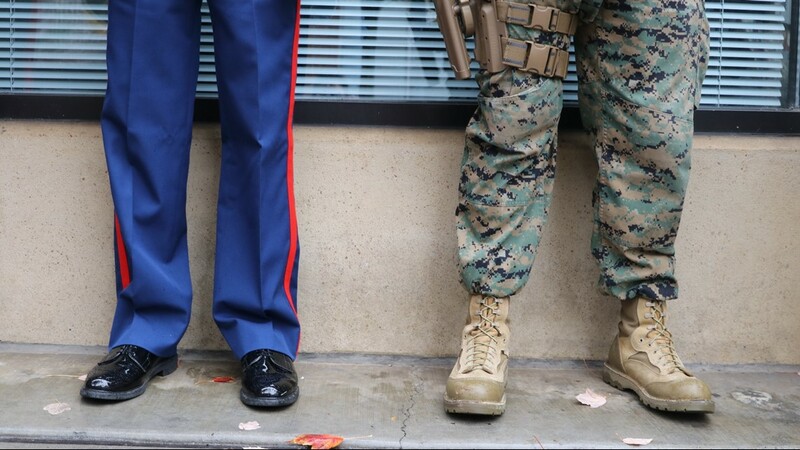 Members from all branches of the military stand side by side. Jeff Slater hosted breakfast at his house for two other companions before the parade. It's become an annual tradition for the trio: breakfast, parade, spend the day together. 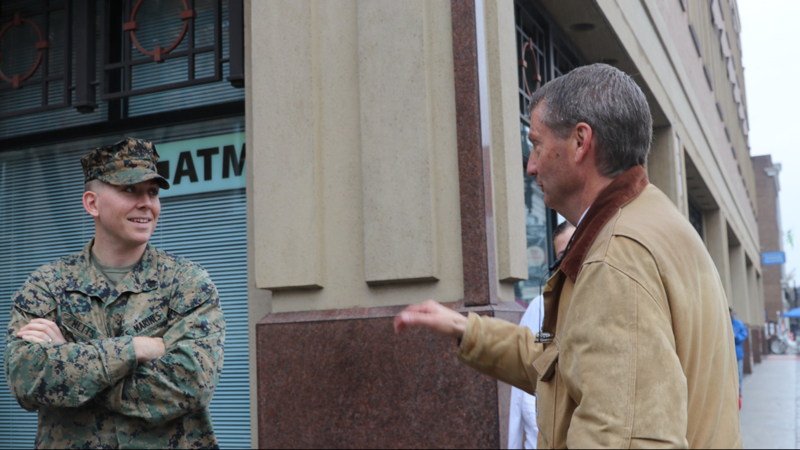 Tim Burchett speaks to active members of the U.S. Marines prior to the start of the Veteran's Day Parade. 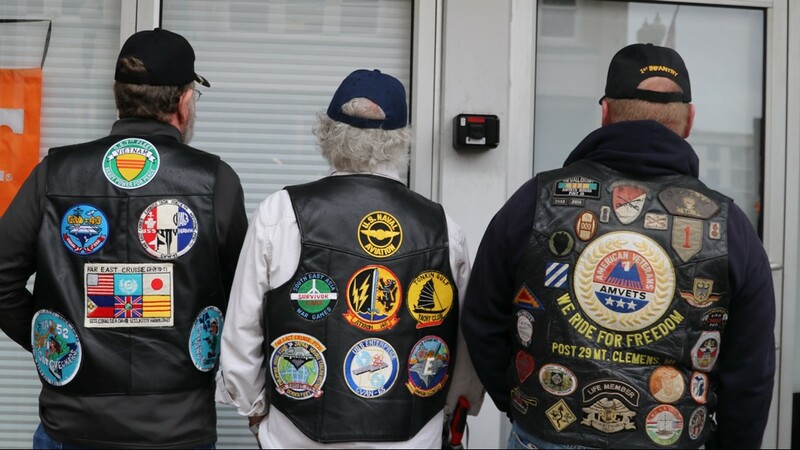 Retired Air Force member Alfred Sautner takes in a legion of Vietnam War veterans. Knoxville's annual Veteran's Day Parade is the city's 93rd celebration to honor local veterans, particularly those who served in Vietnam. A variety of local heroes will be in attendance, including this year's Grand Marshal and U.S. Air Force Capt. Bill Robinson. He was the longest-held enlisted prisoner of war in American history, having served some of his time with the late Sen. John McCain. RELATED: Hundreds give hero's welcome home to HonorAir Flight 27 veterans returning from D.C.
At 11 a.m., the parade will halt at the reviewing stand near Mast General Store and perform a brief ceremony for attending veterans, including the parade’s reviewing officer, Air Force Maj. Gen. Stephen A. Clark, who is an alumnus of the University of Tennessee. At this time, a Vietnam-era Huey helicopter will perform a flyover. “The sound of the Huey is synonymous with Vietnam,” said Marty Everett, American Legion Post 2 Parade Committee Chairman since 2006. “The Hueys were the workhorses of the war, the equivalent of Jeeps in World War II.” This year’s parade also includes three WW II-era British tanks.